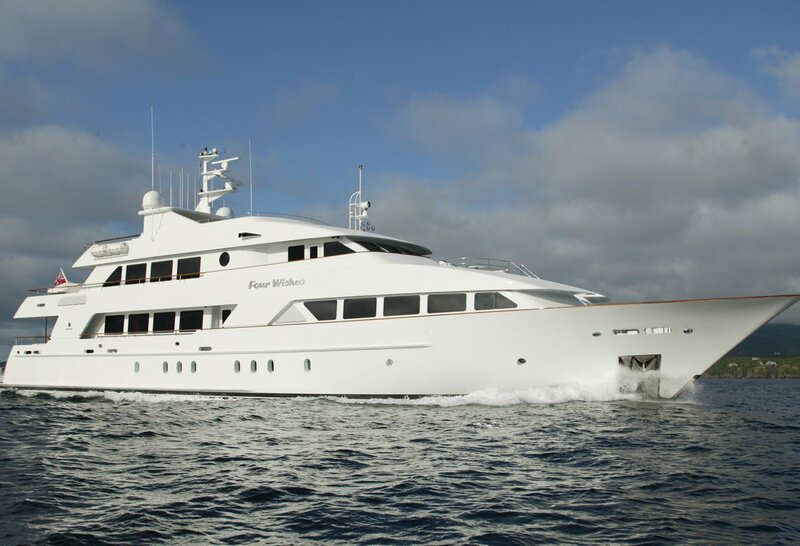 Luxury motor yacht FOUR WISHES’ is a magnificent vessel which will impress the most experienced and discerning yacht enthusiasts. 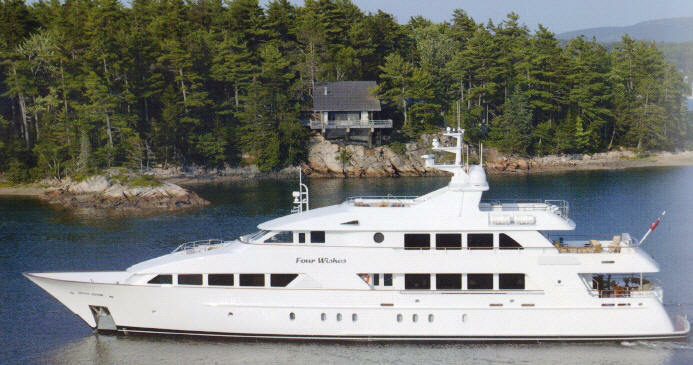 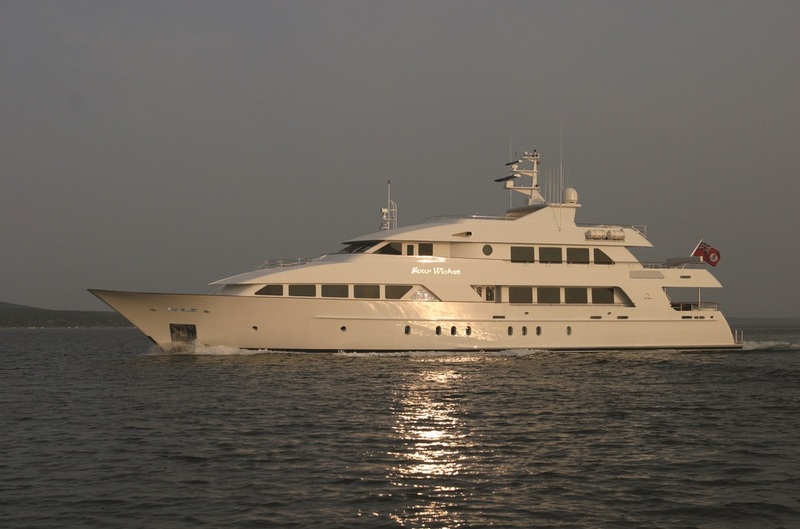 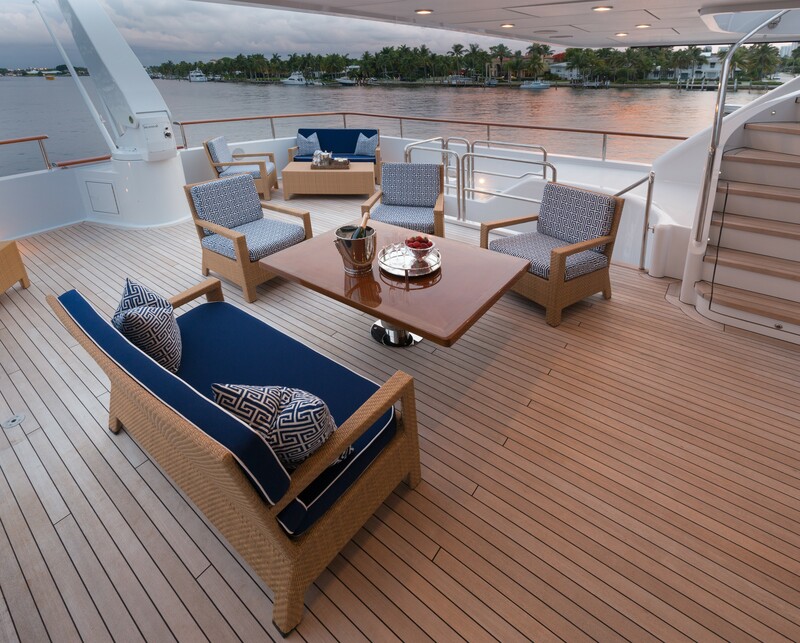 FOUR WISHES was launched in 2004 and feature modern and smart design both inside and out. 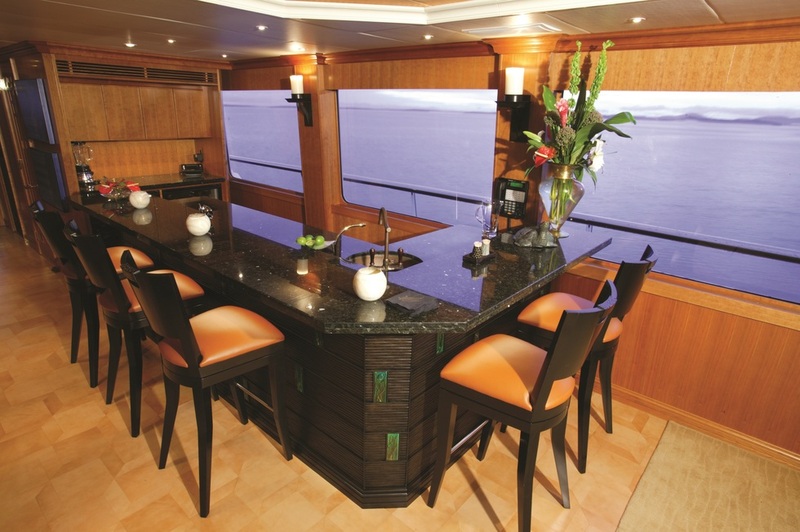 Luxury accommodation is offered across five guest cabins for ten guests. 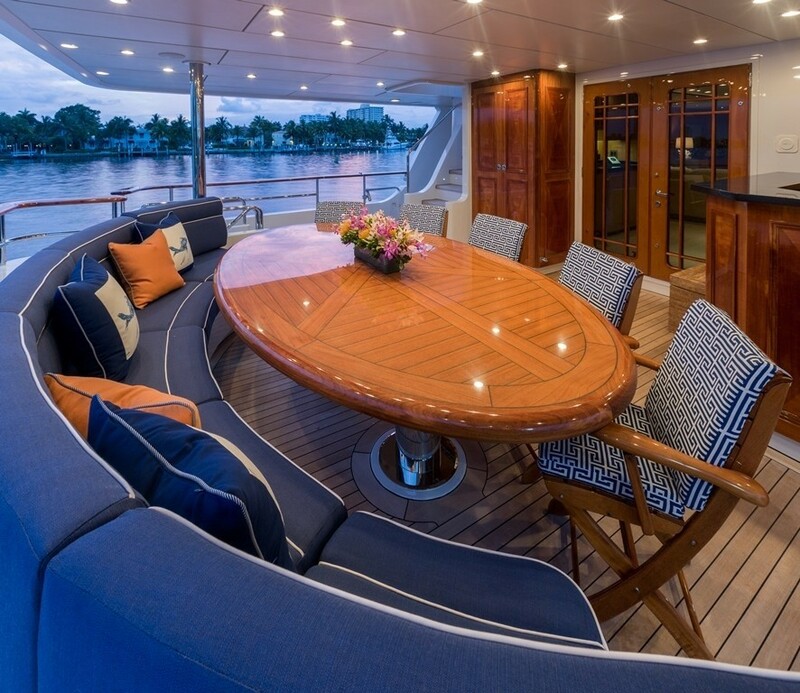 Luxury motor yacht FOUR WISHES provides a cool and shaded aft deck which proves a perfect spot to spend evenings while dining al fresco under the stars. 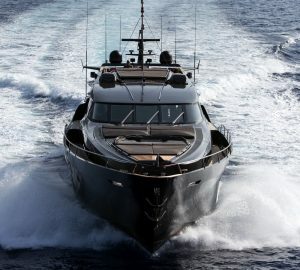 The unique design includes a superbly versatile aft platform which creates a recreation area of its own. 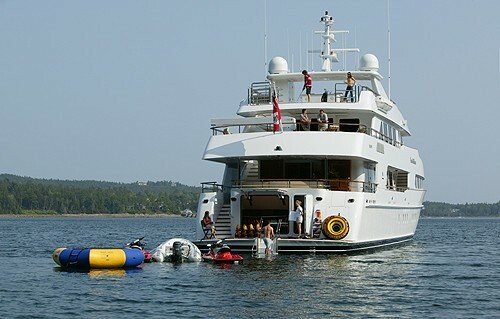 Her transom stairs lower into the water, enabling easy access for aquatic activities for all ages. 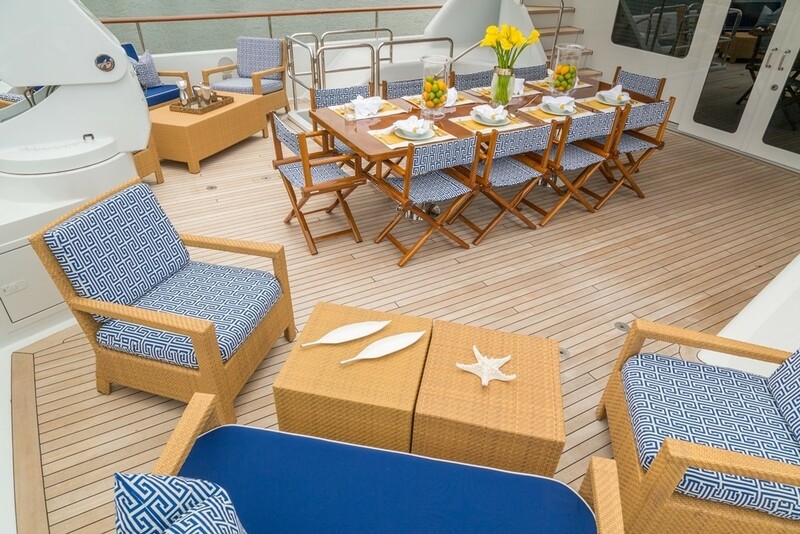 The driving range on the sundeck will enable those wanting time out from the water a great chance to perfect their golf swing. 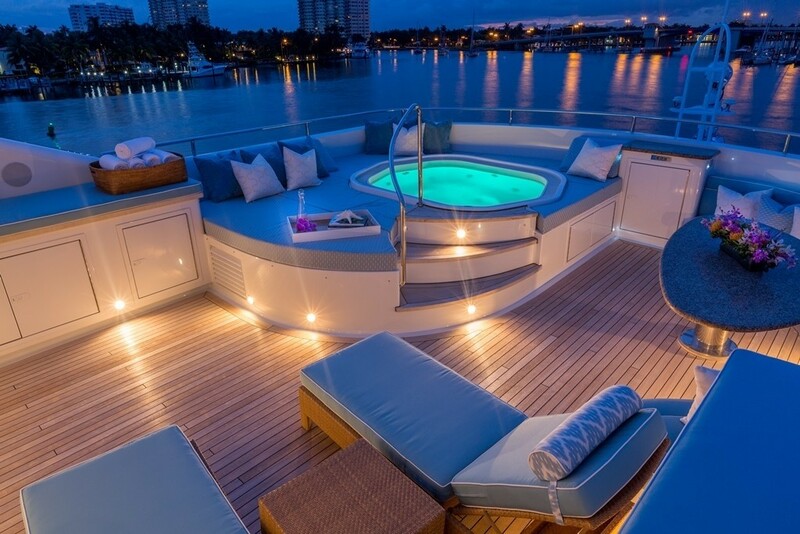 The comfort of the Spa Pool provides a perfect vantage from which to relax and enjoy the twilight & sunset, with glass in hand. 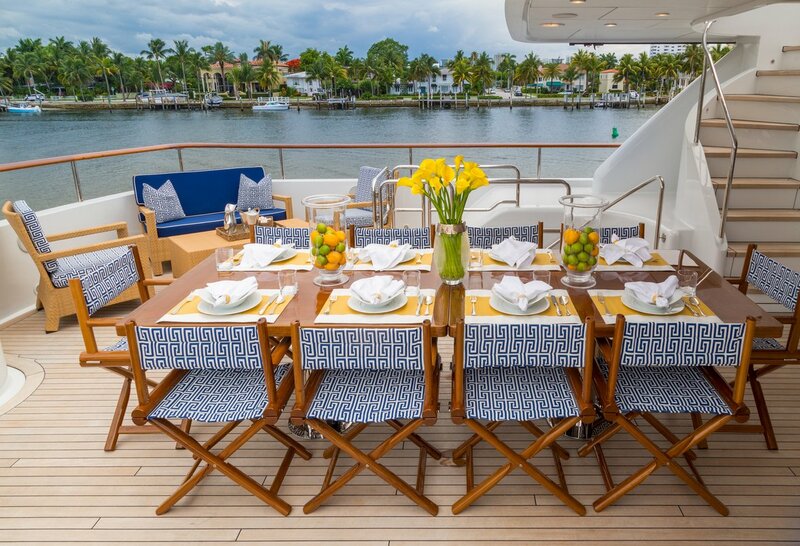 FOUR WISHES' outdoor barbeque and bar offer her owners a casual dining option, encouraging merriment and fun. 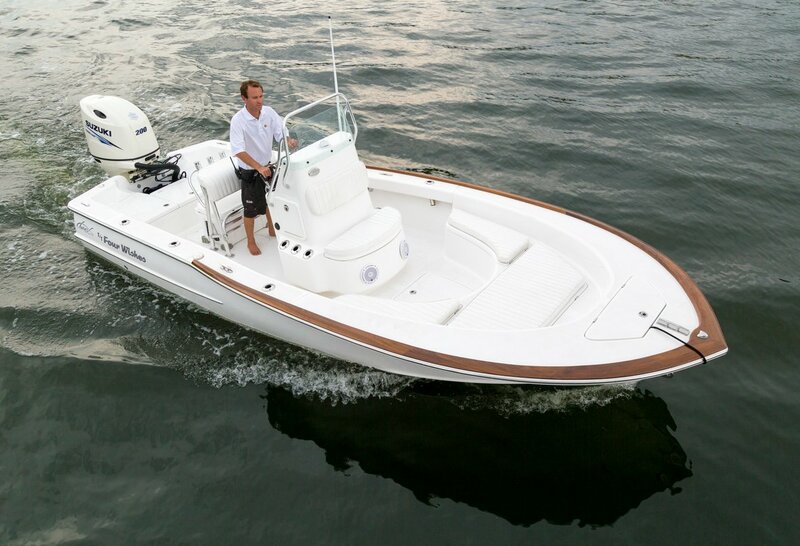 She has already impressed at boat shows and continues to stimulate rave reviews and accolades. 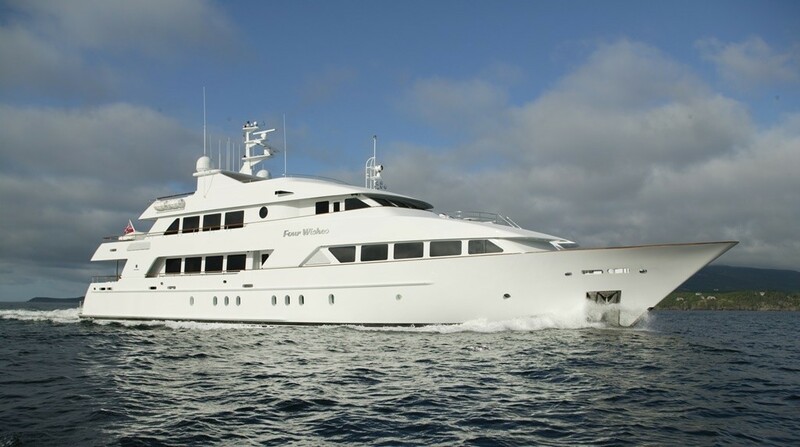 In 2014, Four Wishes superyacht received a complete mechanical and paint refit. 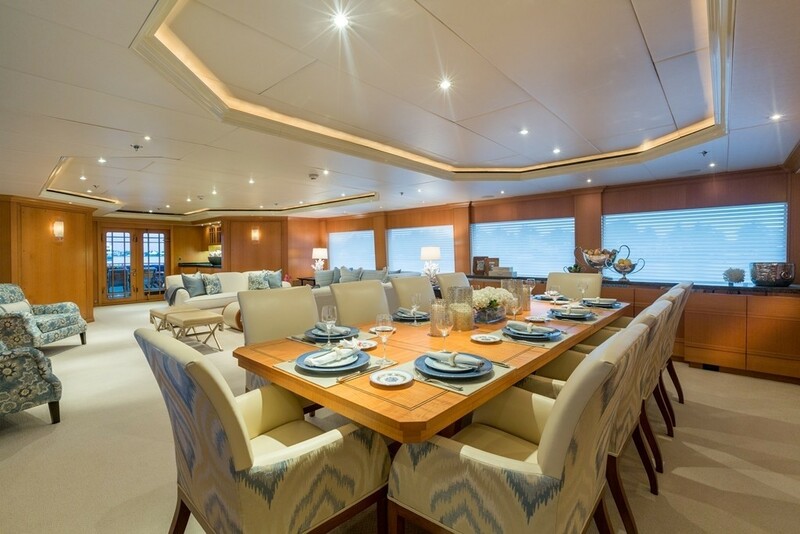 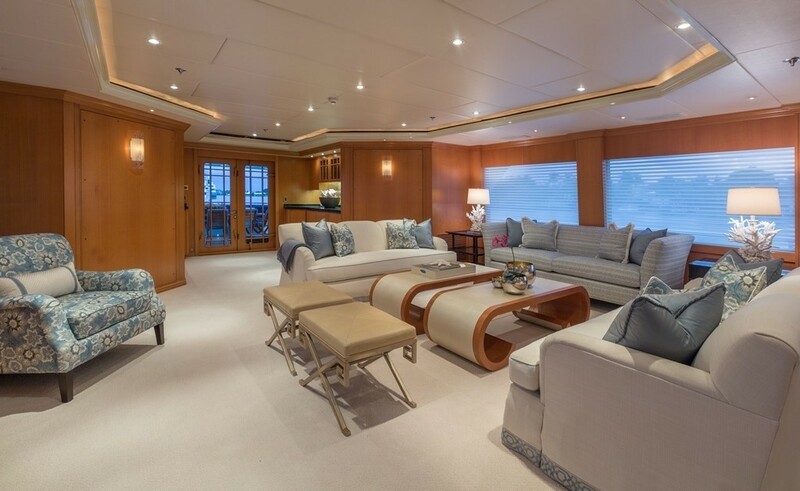 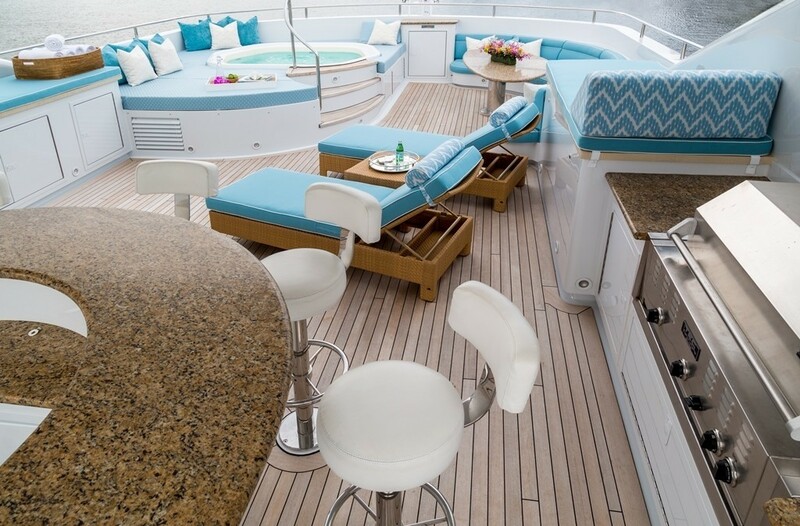 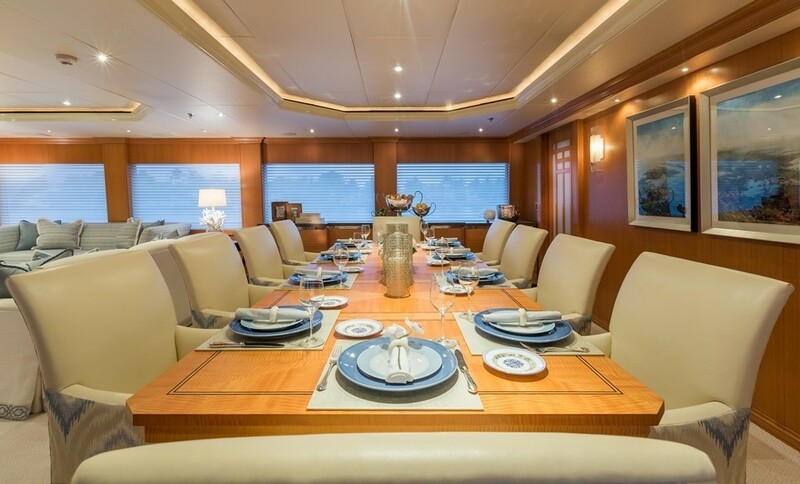 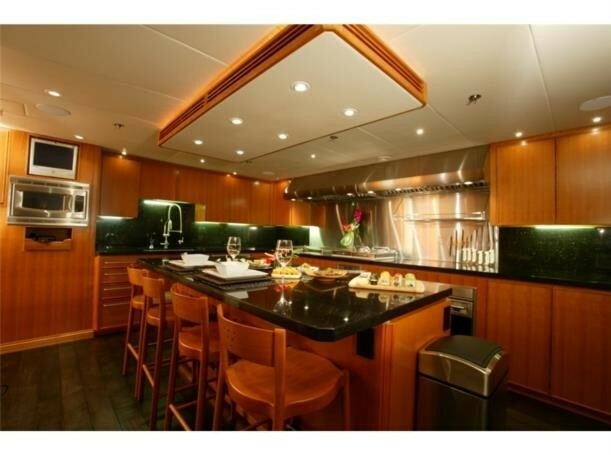 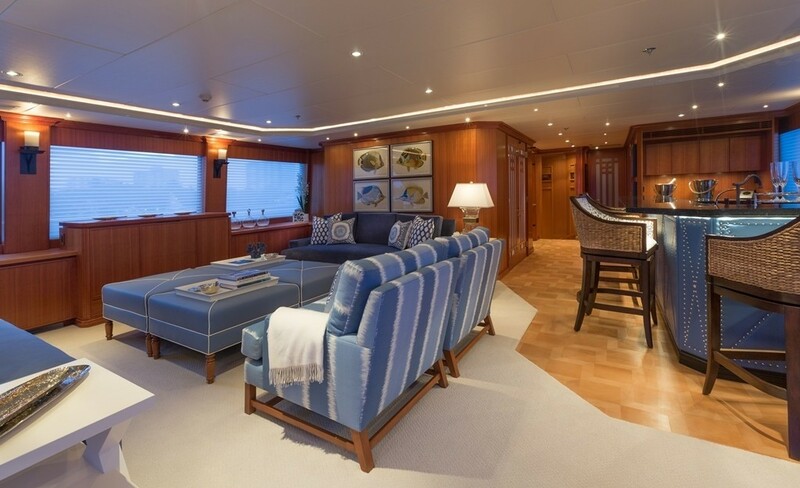 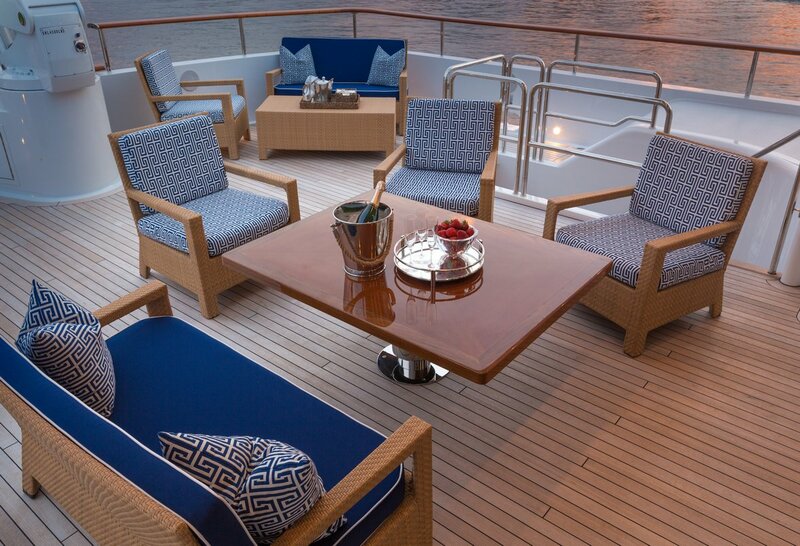 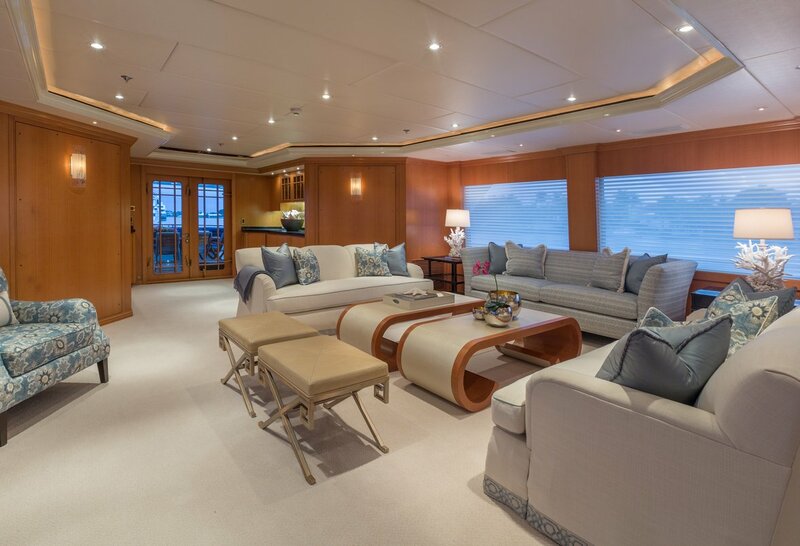 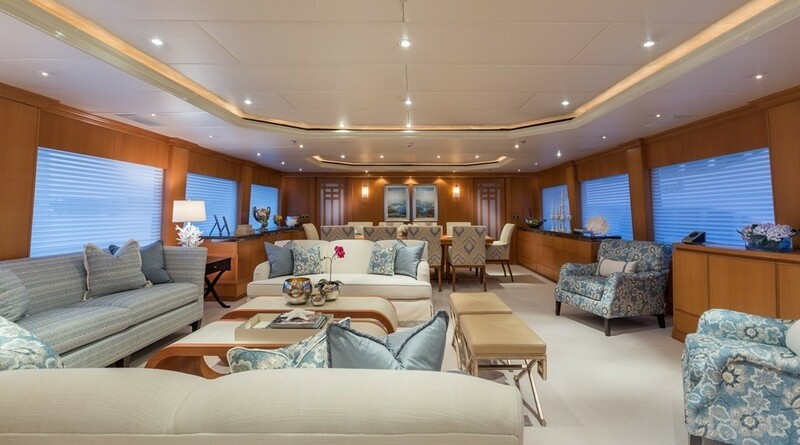 Motor yacht 'Four Wishes' provides 12 guests superbly spacious and luxurious accommodation in 5 main cabins. 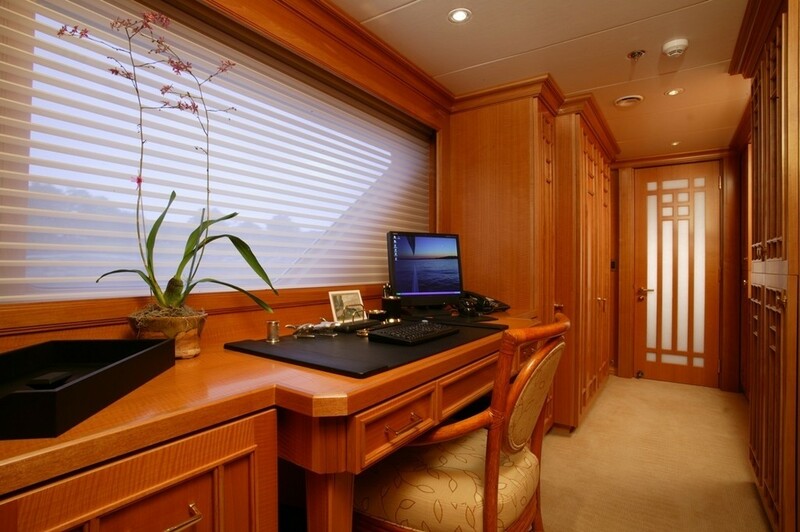 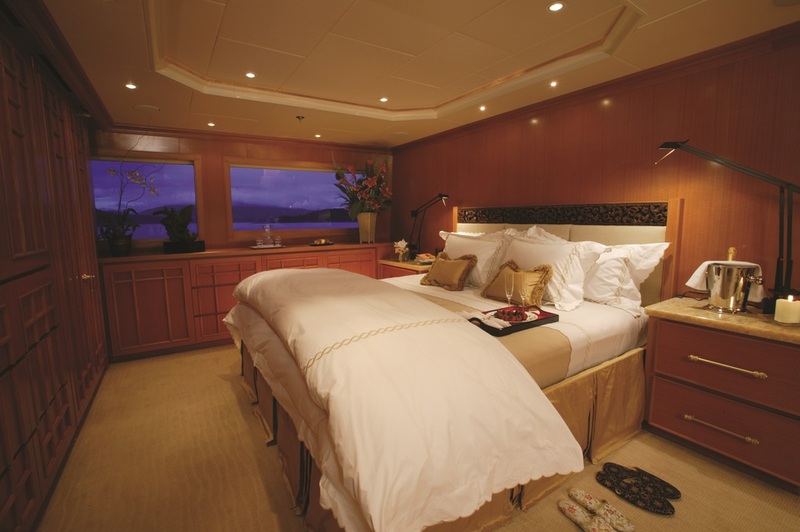 Each of yacht Four Wishes staterooms have ensuites with a TV & DVD & CD players. 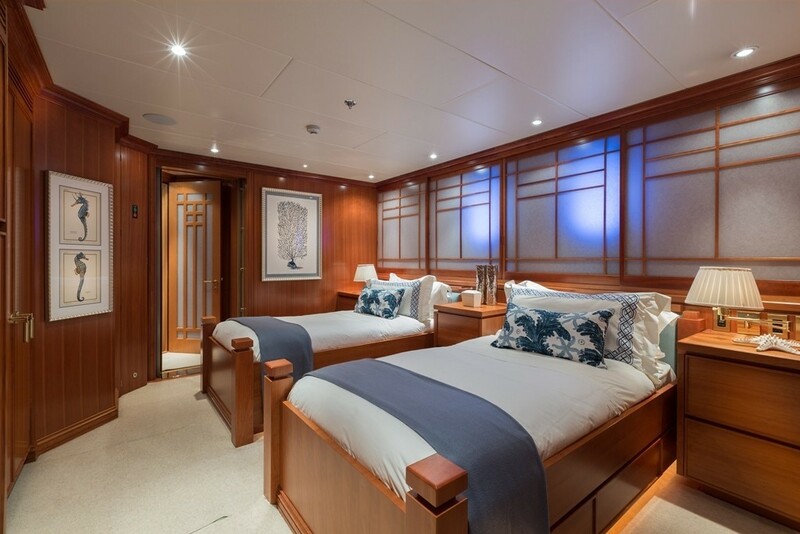 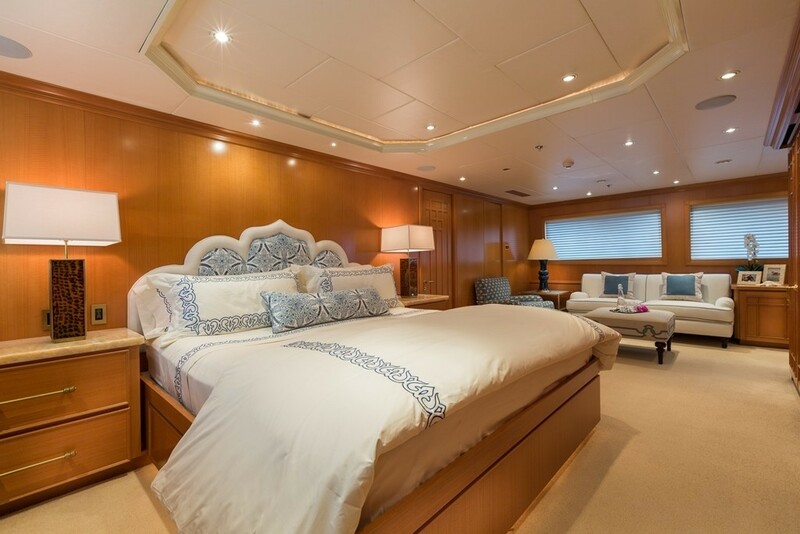 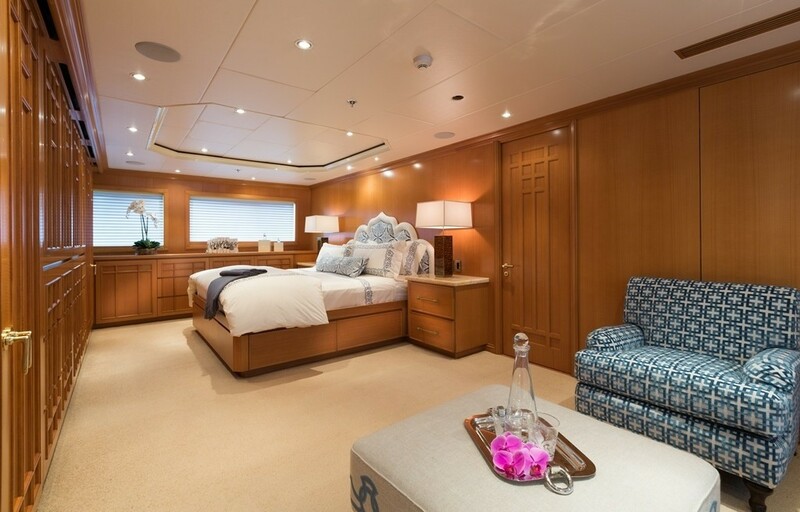 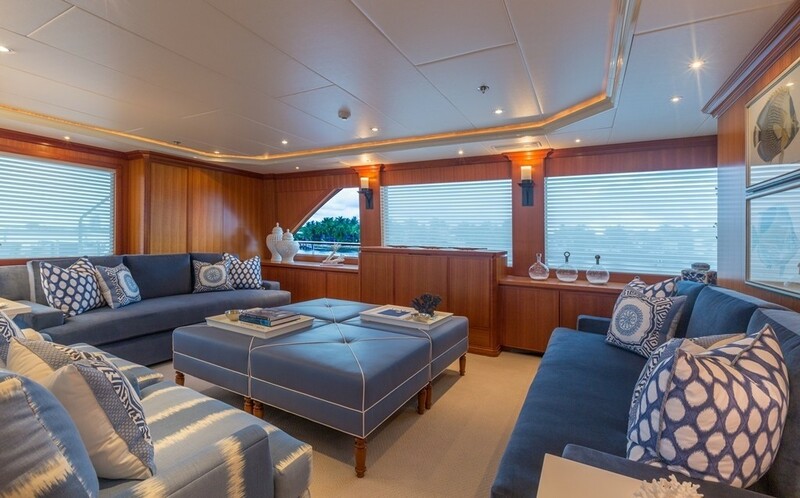 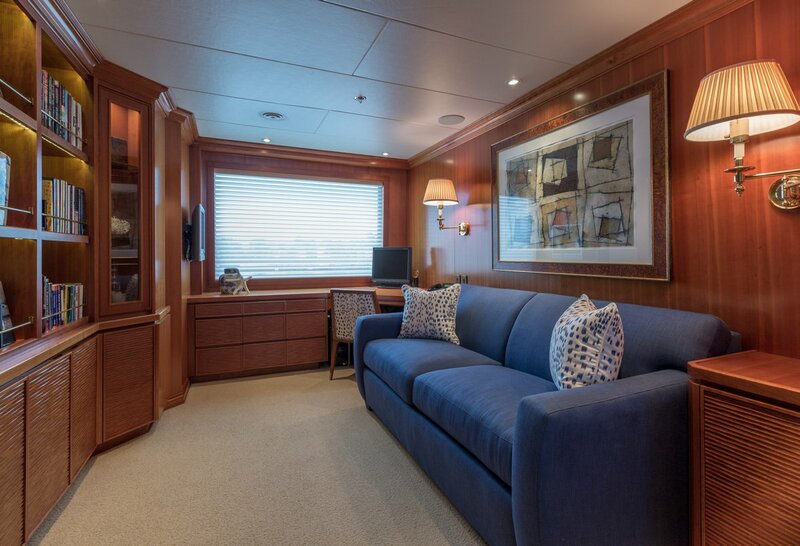 The master has a king sized bed, is located on the main deck and includes a private office and a his & hers vanity and shower. 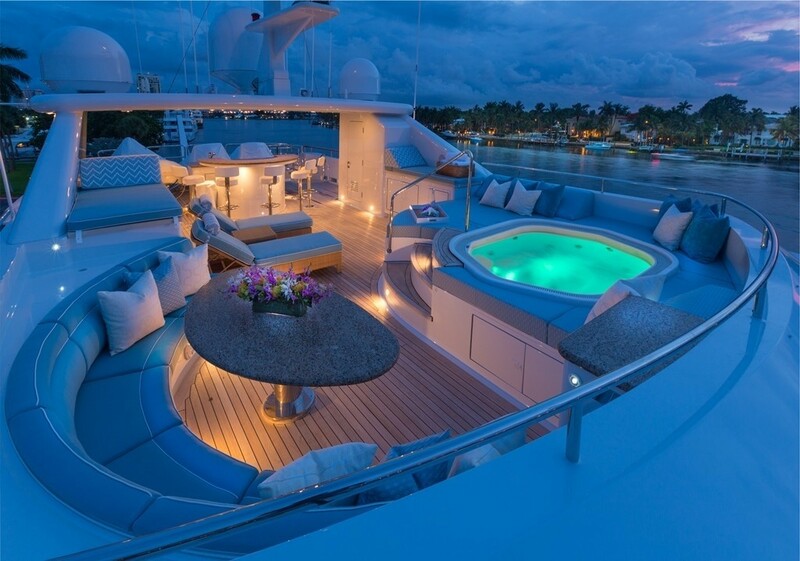 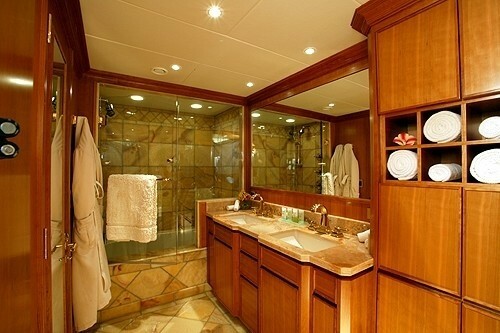 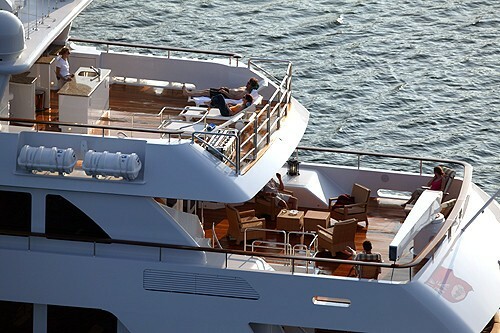 One of the yacht's VIP staterooms has a king sized bed and a tub, the other VIP offers a king and a shower. 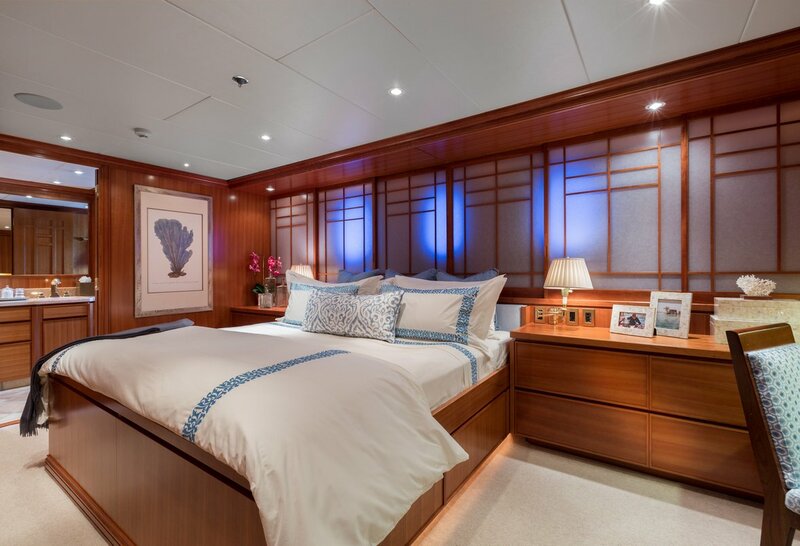 She offers two further VIPs staterooms, with king sized beds which convert to twin or quad beds. 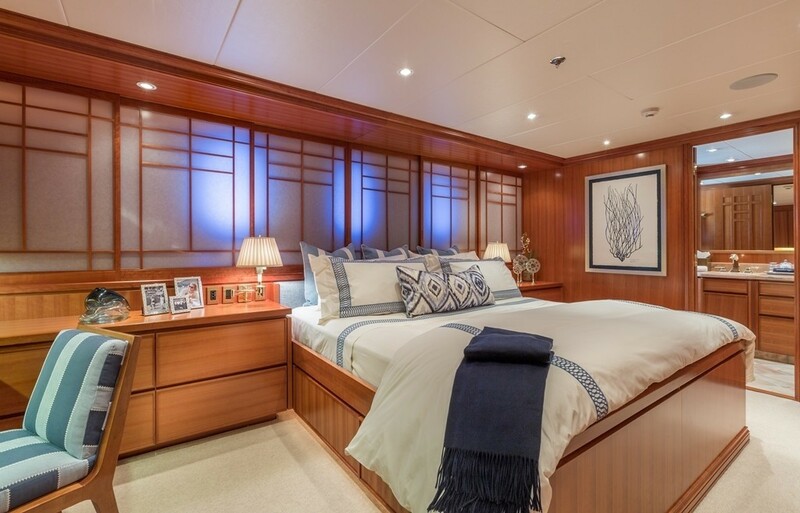 All of her cabins boast their own ensuites. 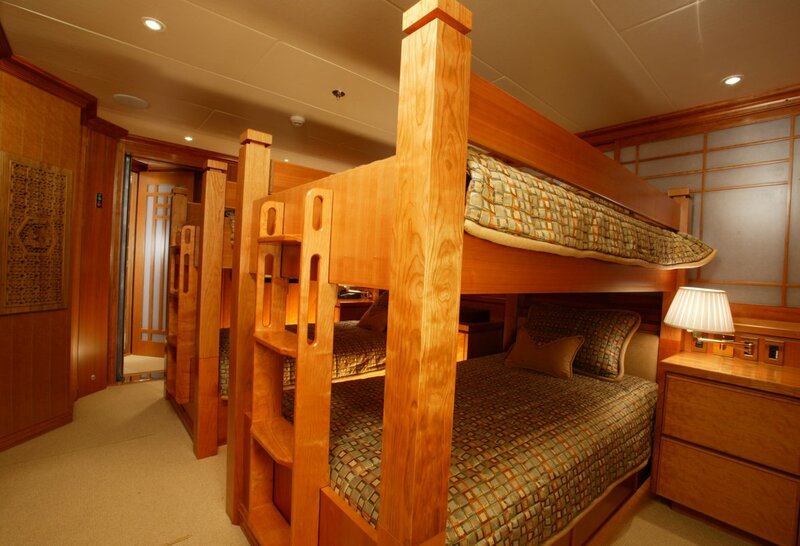 The Crew quarters are distinct and separate. 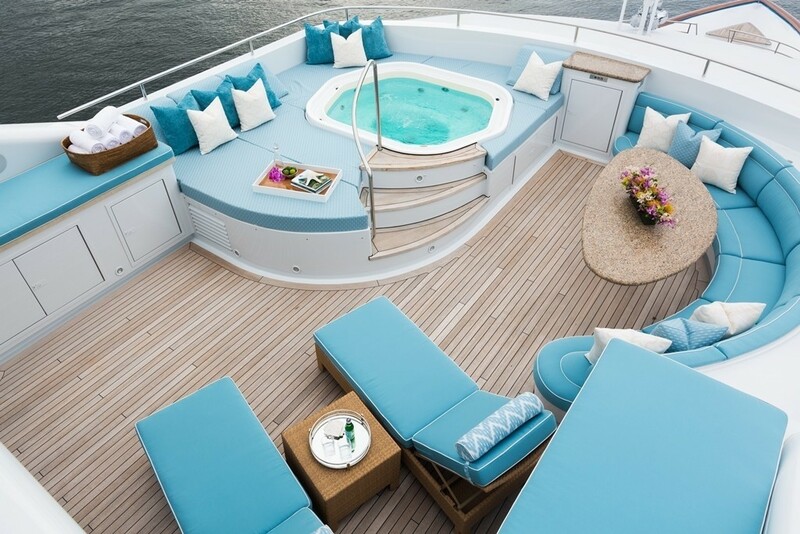 Luxury Yacht FOUR WISHES is fully equipped with tenders and a large range of water toys. 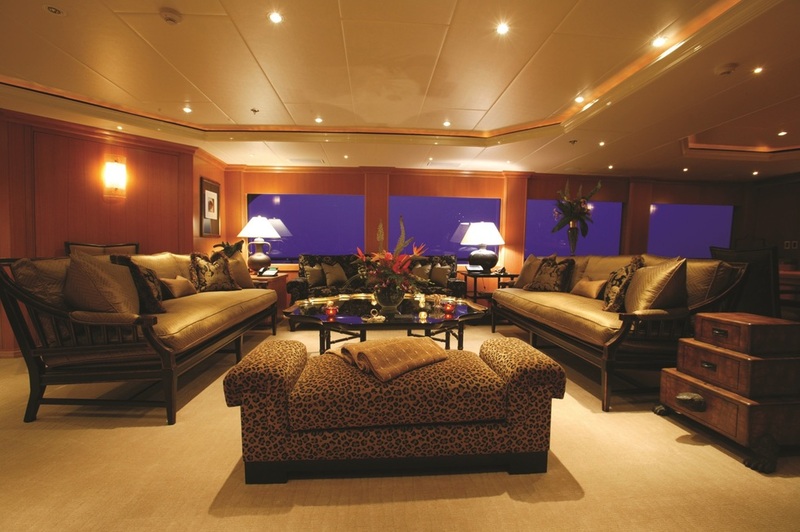 There are entertainment facilities through out guests areas and communication facilities on board.